This is the 11th year for the LHHPA point series. 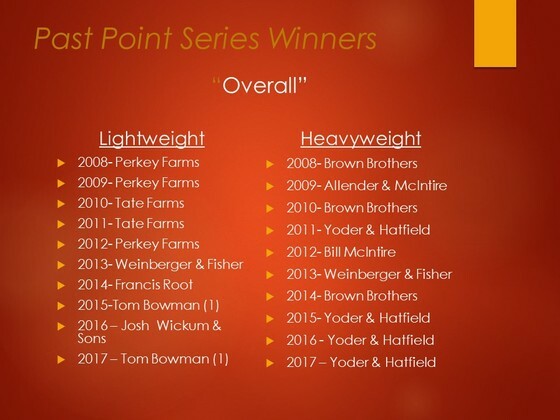 This year's point series features 18 pulls located in 8 different states. The prize money for the winners continues to increase. 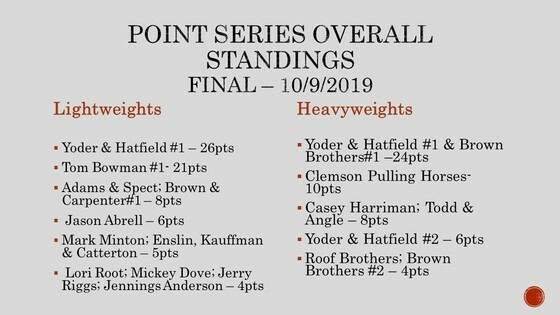 This year, the winners of the lightweight overall will receive $1000 and the winners of the heavyweight overall will receive $1000 and an award. The participation points winners in each class will receive $1,000. Runners-up for participation in each class will receive $500. The total payout for the point series has now reached over $6,000! The pulls in the series are derived in several different ways. Several organizations will contact LHHPA about the possibility of getting one of their pulls in the series. Also, LHHPA contacts several pulling members from different states (those whom generally participate in LHHPA pulls) and these people nominate several pulls in their state. Lastly, LHHPA and pullers in northern Pennsylvania nominate the Pennsylvania pulls. After the nominations are in, the members of the association vote on what pulls will be in the series. Of course, there are more pulls in Pennsylvania than in other state because our association's number one goal is promoting pulling in Pennsylvania. However, we do hope that the points series will increase the number of teams and spectators throughout all of the states involved. 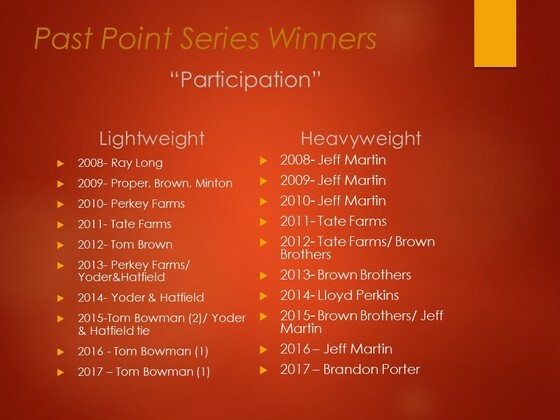 Due to the increasing popularity of the point series, in the future there may be a small nomination fee. 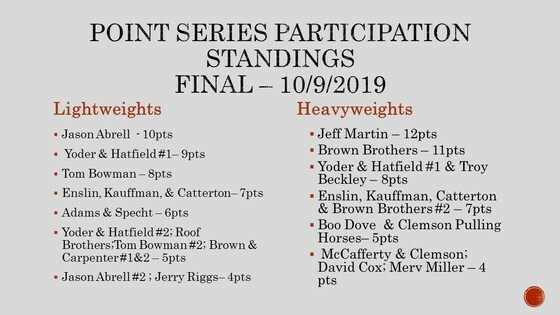 *Please Note* - Standings (pull results & ENTRY NAMES ) are based on the results posted to www.horsepullresults.com - In order to keep accumulating points be sure to keep entry names the same across the pulls.